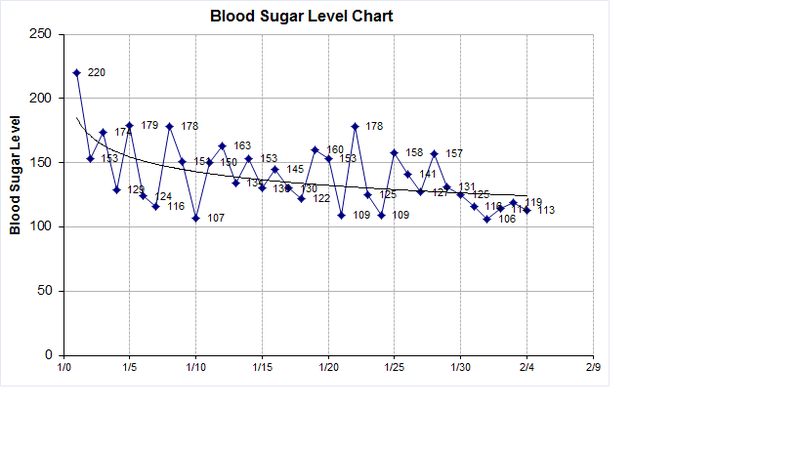 I have been working with another friend to normalize his blood glucose levels. 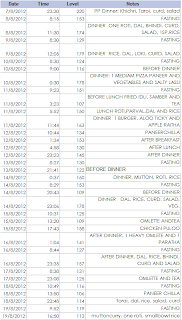 It took nearly 2 weeks of measuring and adapting the diet. There were some constraints with this friend as he is not ready to ditch the wheat or rice. 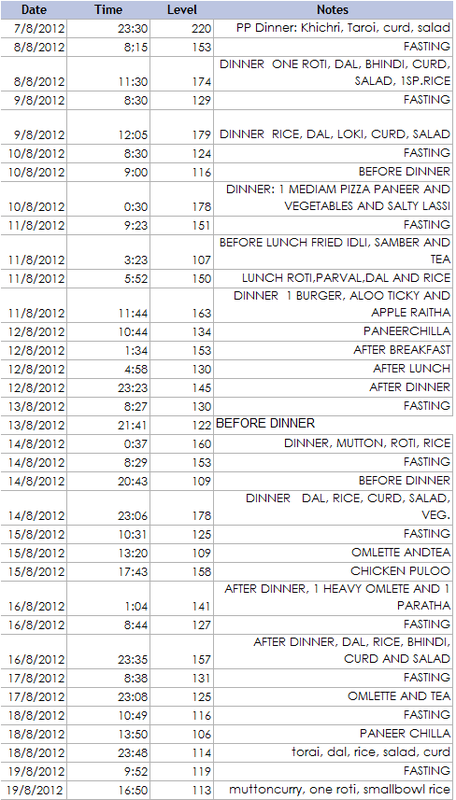 He has provided the following chart and the food log. You will notice on days 18th and 19th. 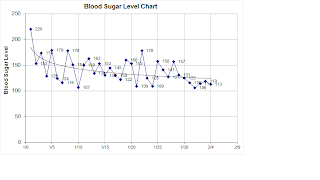 His blood sugar did not rise much even though he had rice and rotis. We might think that his body is able to absorb the given sugar. But that is not the case. We can see that his fasting is higher than his post breakfast. This happens when the body is not able to absorb the morning glucose due to cortisol. This happens only when insulin resistance is high. So why is his bg level low. The clue is that he is complaining about hunger if he is not eating for a long time. This almost always happens due to bg getting too low. This happens with high insulin resistance and high carbs in the diet. Admittedly he has reduced carbs from his diet, but not enough. He will see reduction of this hunger problem only when he reduces his carb levels further. Also his diet has lower fat than it should have to counter the carb load. I have recommended to get his rice fried in ghee. Paratha is better than roti. Unfortunately it reduces the nutrient content in diet. Now I am recommending him to also check his blood sugar before lunch and dinner. This will hopefully slowly nudge him to get rid of wheat and rice. These are the real problematic factors in his diet.